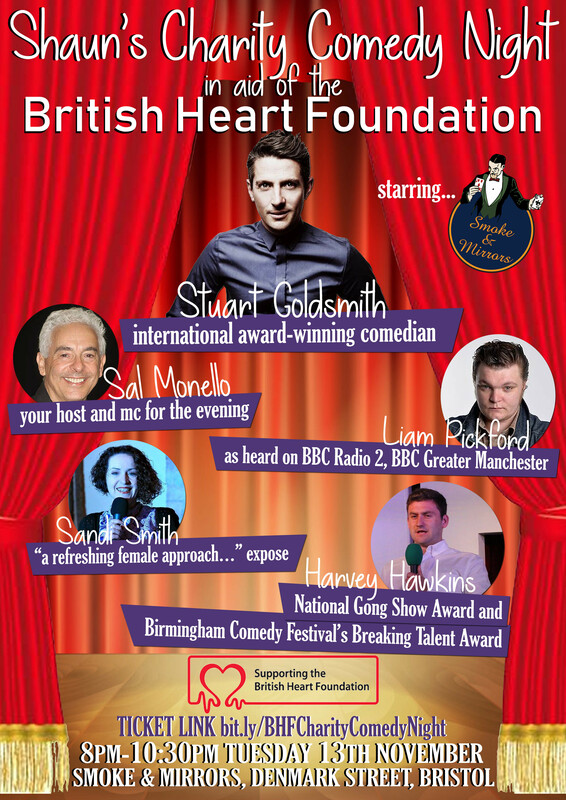 Come and join us for our first comedy night where we'll be raising funds for the British Heart Foundation. We have a huge line up....Host and MC for the evening is Sal Monello introducing Liam Pickford, Sandi Smith, Harvey Hawkins and headline act Stuart Goldsmith - international award-winning comedian. Doors open at 7pm & show starts at 8pm. Join us for an unmissable night of laugh out loud comedy. Together we can beat heartbreak forever. E-ticket will be sent via email. Please show this at the door. No refunds unless show is cancelled.